Mother nature, what are you doing??? We all know everybody affected by the crazy winter weather in the United States is asking this question. From -50 degree temps to crazy amounts of snow and ice, everyone is fed up with mother nature. However I’d call us lucky compared to what the people in the Northeast experienced in 1978. 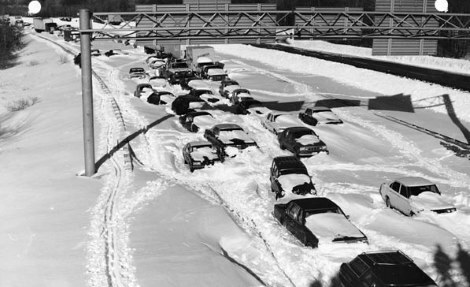 On February 5, 1978, people in the Northeast experienced a category 5 blizzard. Those in Boston, Massachusetts, were flooded with a record-breaking 27.1 inches of snow! Not only is this a major inconvenience, but it injured 4,500 people and killed 100. To add to that, more than 3,500 cars were abandoned and buried on the roads. If this already doesn’t sound bad enough, the United States was out 520 million dollars in damage. This entire storm caused a huge mess and affected thousands and thousands of people. If you would like to read more about this blizzard I got all of my information here.